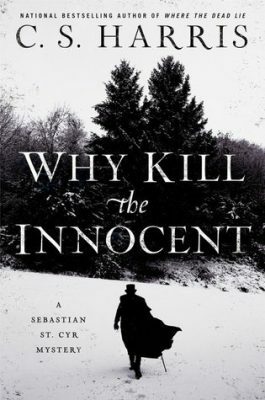 Welcome to my stop on the blog tour for Why Kill the Innocent by C.S. Harris! Though I hadn’t read any of the earlier books in this series, I was so drawn in by the cover and the blurb that I couldn’t resist. There were a few obvious references to events that happened earlier in the series but I had no trouble reading this one as a stand-alone. Enter the victim, Jane Ambrose. As luck would have it, Hero literally stumbles upon her body concealed in the heavy snow in the unforgiving winter of 1814. What in the world was Princess Charlotte’s piano teacher doing in this part of town? And why ever would someone want her dead? Could it have been her possibly cheating and abusive seemingly loving husband? Could she have overheard something she oughtn’t have? Or has she been keeping secrets of her own? 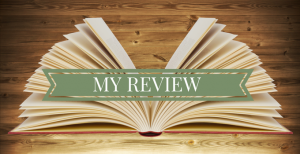 I realize that murder mysteries are not normally considered fun, but that’s the only word I can think of to describe the way in which the reader is bounced around from one suspect to the other. Each time one suspect is interviewed, another bomb is dropped and the finger is pointed at yet another suspect. Remember pinball? It was like that. In a good way. The lack of opportunity for women during this period of time was central theme in this book. C.S. Harris did a brilliant job of weaving in several examples of the various ways in which women were oppressed. I won’t go into detail as some are relevant to the plot but I thought this, along with the great deal of research the author obviously did on this book, did a lot to elevate the book from a simple mystery to more of a literary/historical or “smart” mystery. I really enjoyed learning about The Frost Fair and the plight of Princess Charlotte. The author added a very detailed note at the end of the book which was very informative and interesting. In summary, Why Kill the Innocent was a delightful classic whodunnit with a smart sensability. Though I’m not generally a series reader, I would definitely read more books in this series. I also think this series could make for great TV. Don’t for get to check out my Instagram page for a change to win a copy of Why Kill the Innocent. Yes, I’m sorry. 😞 I will be doing a little Amazon giveaway soon which will be for anyone who can use an e-gift card. Almost five wine glasses?! WHOA! I actually love being bounced around from suspect to suspect, so this sounds like a lot of fun! Great review, Ann Marie!